Research in Motion is expected to refresh its BlackBerry PlayBook tablet later this year, and now a leaked slideshow of RIM's 2012 tablet and smartphone roadmap has surfaced at Boy Genius Report. 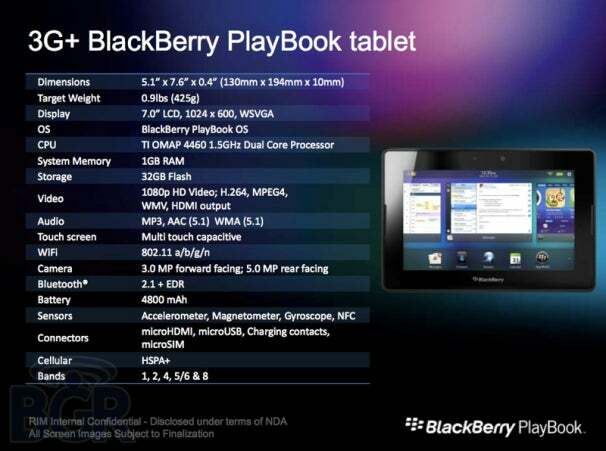 If the details are correct, the new PlayBook will have a 1.5GHz dual-core processor, an NFC (Near Field Communication) chip, and built-in 42Mbps HSPA+. 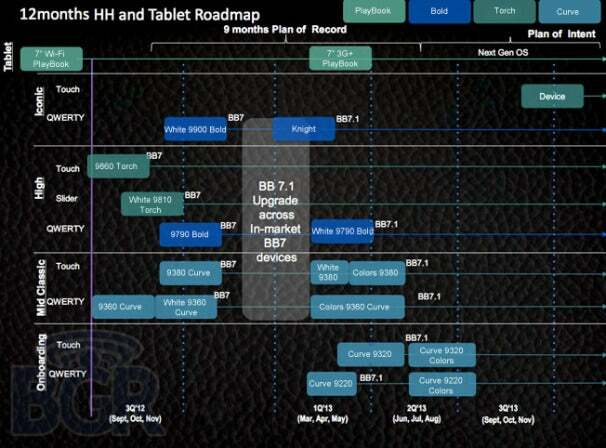 Like the original PlayBook, the next model will be a 7-inch tablet with a 1024 by 600 pixel display. 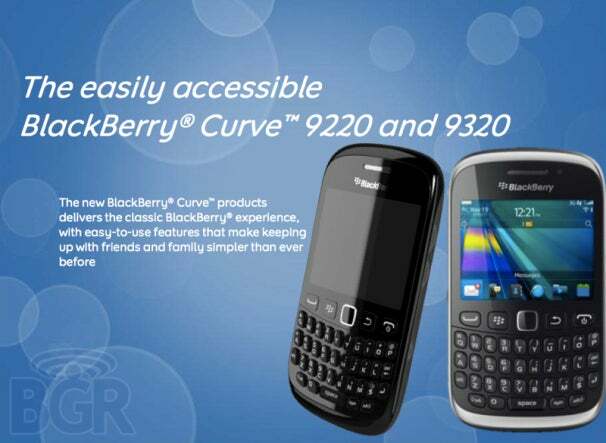 In addition to a new PlayBook, RIM will also be introducing a new BlackBerry Curve, a new Torch, and a new Bold in the third quarter. A BlackBerry 7.1 upgrade around that time will bring a "Wireless Media Server" feature for streaming media between devices. Perhaps the most interesting item on the roadmap is one simply named "Device" (located on the right of the slide). This BlackBerry "Device" is most likely the highly-anticipated BlackBerry 10 purely touchscreen device codenamed "London", which is expected to drop around September.